One of the best parts of fall is the changing colors of the leaves. Once the days become shorter and colder, the chlorophyll that gives the leaves their green color breaks down and leaves the bright and vibrant colors behind that make autumn so beautiful. In order to survive the winter and save energy, the tree will lose the leaf by forming a layer of cells between the leaf stem and the branch, forcing it off the tree. 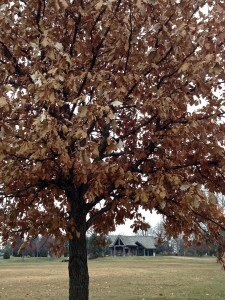 But not all trees act the same, and some deciduous trees hold onto many of their leaves through the fall. 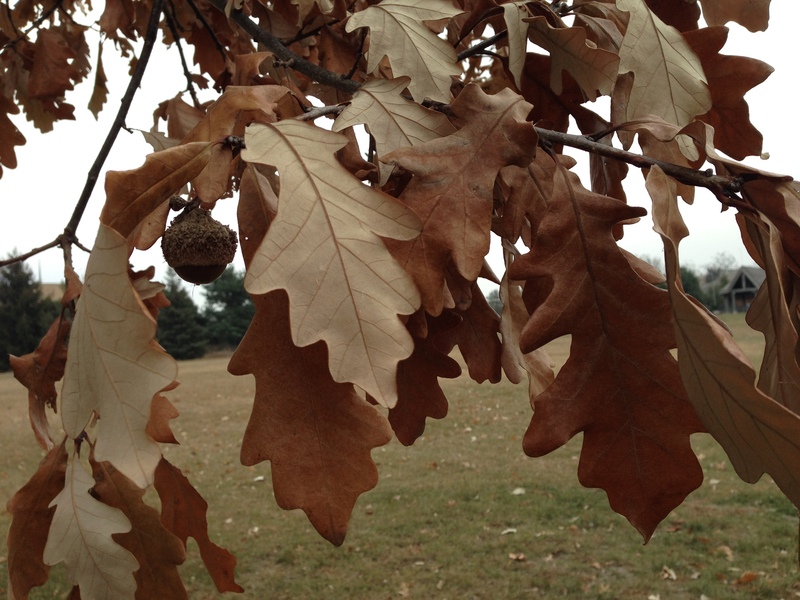 This phenomenon is called marcescence, and it is commonly seen in oaks, including many red oaks and white oaks common in southern Minnesota. 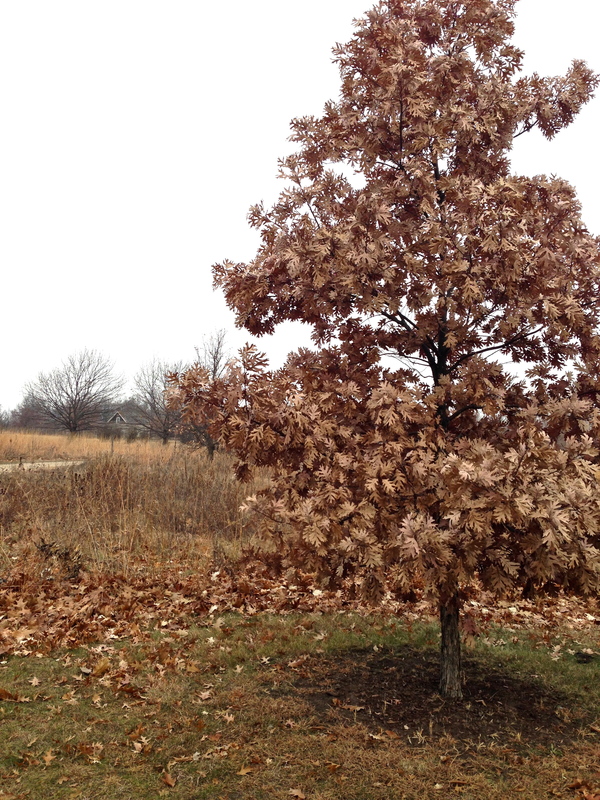 Along with the incomplete abscission layer, these oaks also contain a high level of the strong fiber lignin, which decomposes slowly and can retain the leaf structure well into the winter. If the leaves haven’t been stripped from the tree by harsh winter weather, budding from new growth in the spring will finally make the leaves drop.